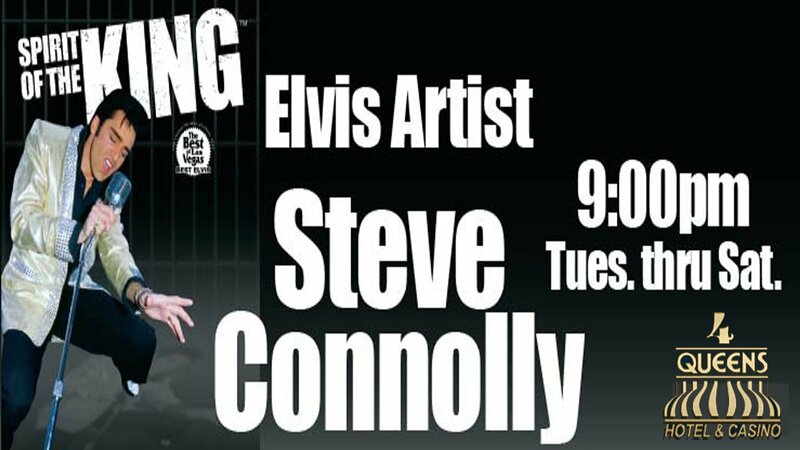 Named by The Las Vegas Review Journal as the “Best Elvis in Las Vegas, ” critically acclaimed Elvis impersonator Steve Connolly rocks the house at The Four Queens in Downtown Las Vegas. Since it’s a quintessential Vegas pastime to shake your hips to the music of the “King”, you’ll want to make sure you’re not stuck watching some lame impersonator with big hair and instead, find yourself with Vegas’s most celebrated Elvis tribute artist who can do the “King” real justice. Las Vegas’s love affair with Elvis Presley is still going passionately strong and thanks in part to the dedicated Connolly, who has received ample accolades from celebrities and even former U.S. President Clinton, it’s possible to experience the King of Rock ‘N Roll live in Vegas once again.